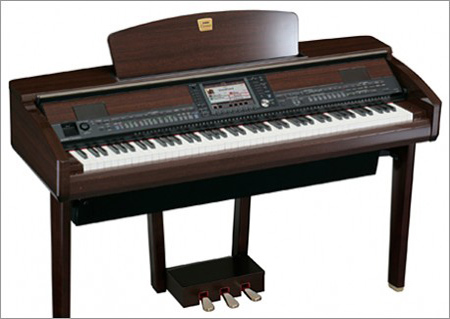 Distinctive traits of every piano bearing Yamaha's Clavinova and Modus series trademark center around touch and tone. 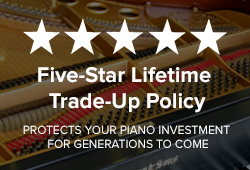 True Piano Feel is an experience that must be critiqued only by the pianist — no matter the level of keyboard proficiency — to witness first hand how Clavinova reproduces the feel of playing an actual grand piano. Thanks to the Graded Hammer Effect (GH) technology, this Yamaha action provides the characteristic weight balance between key and hammer — featuring weight gradations of the keys. Like the hammers of a grand piano, the touch is heavier in the lower end, and lighter in the upper end. Adding Yamaha's proprietary Damper Sensor to these hammer nuances (GH3), allows the pianist to use performance techniques previously possible only on a real grand piano in such as playing the same note in repetitive patterns without fully restoring the key. The Clavinova Natural Wood (NW) keyboard takes full advantage of Yamaha's long experience in woodworking. The white keys are made of good quality natural wood cut from a single piece of fully seasoned lumber. While preventing keyboard deformation and vibration, this provides the solid and pleasant feeling of playing a grand piano. 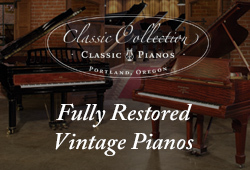 Many models feature Synthetic Ivory key tops — the same soft and slightly porous surface as Yamaha's famous Conservatory Grand pianos, giving the keys added grip and a natural friction for improved ease in playing. Authentic Sound is achieved with Clavinova's Advanced Wave Memory (AWM) — delivering digitally sampled string resonance, recorded from a handmade CFIIIS full concert grand. 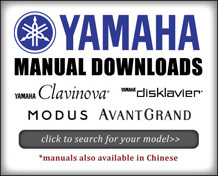 Despite all the claims made by makers of other digital pianos, none have Yamaha's worldwide track record: Clavinova is first choice as the finest digital piano ever made. Clavinovas are used in more than 700 schools around the world. 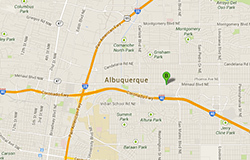 The reasons for this are first and foremost, their natural sound and touch. 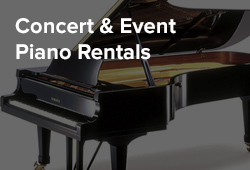 Created by Yamaha, a company that knows everything about pianos, they offer the best features of a grand piano together with innovative features that increase the enjoyment of playing a piano. The Clavinova has established itself as the most successful digital piano line in the United States, and has earned the Dealer's Choice Award from Musical Merchandise Review (MMR) an unprecedented 14 times. Combining great sound with piano-like feel, the Clavinova offers advanced educational and entertainment applications in an attractive package. Clavinova received 2008 "Dealerís Choice Award" from Musical Merchandise Review Magazine. Clavinova Digital Pianos have been named the most successful Digital Piano Line in America over the last 14 years. Clavinova has earned Musical Merchandise Review's "Dealerís Choice Awards" a staggering 13 times.